Can You Reverse Calcification of the Arteries? 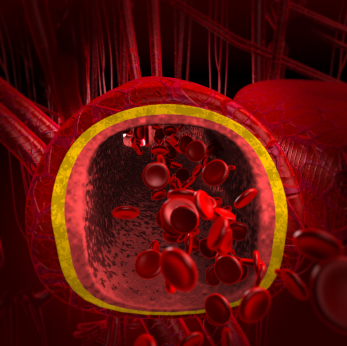 Calcification of the Arteries – There are many different ways that calcification can occur: High vegetable oil intake, blood thinning medications, high fluoride intake, vitamin C deficiency, a high calcium intake without adequate magnesium, K and D, and excessive vitamin D to low vitamin K intake. With diligent diet and supplementation, you may be able to reverse the damage done and prevent further calcification. No sugar: All refined sugar. Raw honey is okay in small amounts. No dairy: The exception is grass-fed butter, raw pastured butter and ghee. Raw butter contains the “Wulzen factor,” a hormone-like substance that prevents arthritis and joint stiffness, ensuring that calcium in the body is put into the bones rather than the joints and other tissues. No wheat or gluten: Preferably minimal grain and more vegetables. No vegetable oils including canola, corn, soy, safflower or sunflower: All contribute to oxidized cholesterol, weakening cell membranes and increasing calcification. Blood thinning drugs: Drugs like Coumadin are known to induce arterial calcification by inactivating a protein called matrix GLA, or MGP, a potent inhibitor of calcification. MGP requires vitamin K for activation. Fluoride: A 2012 study in the Journal of Nuclear Medicine Communications found that fluoride may be associated with hardening of the arteries. Fluoride has been added to water supplies throughout the United States, toothpaste and is found in high amounts in chemical agricultural practices. Excessive Antibiotic Use: Vitamin K is produced by intestinal bacteria and is disrupted by the use of antibiotics that kill both good and bad bacteria. Eliminate all sources of possible infections including the gums and teeth. If the diet has included sugar and grains, seeing a dentist to ensure a clean bill of oral health would be prudent. Literature review of ancient Egyptians showed parasite infections, not diet as the possible cause of inflammation that led to calcification. Apple cider vinegar: Increases beneficial nitric oxide, which halts the production of a hormone called angiotensin II that forces vessels and arteries to become narrower and to constrict. Pomegranates: Pomegranates may actually reverse calcification and lower post-meal blood sugar. One study found that Israeli scientists studied patients with narrowing of their carotid arteries as a result of atherosclerosis. Among patients given daily pomegranate juice supplements for one year, atherosclerotic lesions in the common carotid artery decreased by 35% in size, while actually growing by 9% in a control group. Pomegranate demonstrated a reversal of existing atherosclerosis, which continued to worsen in those who did not consume pomegranate. Water: Drink 6 glasses of filtered water per day. Vitamin K2 activates a protein hormone called osteocalcin, produced by osteoblasts, which is needed to bind calcium into the matrix of your bone. Osteocalcin also appears to help prevent calcium from depositing into your arteries. Lack of vitamin K2 causes calcium to fail to be deposited in bones and instead ends up in the arteries, aorta and other parts of the body. A clinical study from Rotterdam, Holland found that long term adequate vitamin K2 intake was correlated with a lower incidence of calcification of the wall of the aorta. In fact, arteries with no plaque had a 20 to 50 fold increase in Vitamin K2 concentration when compared to arteries with arterial plaques. A lack of vitamin C results in tiny cracks in the walls of the blood vessels, which makes the body produce more cholesterol to fill the cracks. Vitamin C keeps the blood vessels strong, reducing circulating cholesterol, while also clearing the inner walls of fat deposits. Long-term vitamin C deficiency can lead to weak arteries prone to calcification. Massive calcium intake without adequate magnesium can cause calcium to deposit in the soft tissues. Magnesium acts as a guardian at calcium channels and allows a small amount in for electrical transmission and then rejects the rest. It reduces soft-tissue calcium and calcified plaque, and dilates coronary arteries and peripheral vessels, helps prevent blood clotting, and improves irregular heartbeats. Optimize vitamin D levels to 35-50 ng/ml to work synergistically with magnesium and vitamin K. Do not take too much or get your levels too high, which will disrupt calcium metabolism.